Parents often go to great lengths to help their children succeed in college. What they may not realize is that their children often arrive on campus unprotected from a life threatening, yet preventable disease known as meningococcal serogroup B. 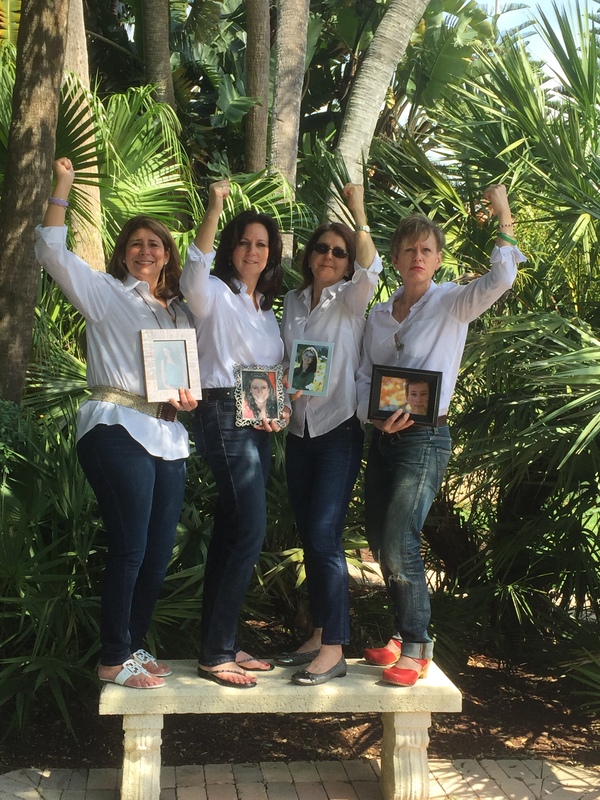 Four women, known as the ‘MenB Strong Moms’, became united on a mission to save others after their teen children died from meningococcal serogroup B before a vaccine was available to prevent the disease. Through a special partnership between The Kimberly Coffey Foundation and The Emily Stillman Foundation, they produced the following Meningitis B Shatters Dreams PSA to educate young adults and their parents about the availability of the MenB vaccine and to encourage college kids to get vaccinated while home for winter break. In the past few years, there have been outbreaks of meningococcal serogroup B on several U.S. college campuses. This isn’t surprising considering that one out of ten people have the bacterium that causes meningococcal disease in the back of their nose and throat with no signs or symptoms of disease. Additionally, typical teen behaviors, such as living in close quarters, hanging out in large groups, sharing drinks or utensils, and kissing, all increase the risk of meningococcal disease. And when meningococcal disease strikes, it strikes quickly. In fact, one in ten teens and young adults who develop meningococcal disease will die from it, sometimes within 24 hours. Those lucky enough to survive will often suffer significant physical and mental disabilities, ranging from deafness, nervous system problems, brain damage, or loss of limbs. While most teens receive the recommended meningococcal vaccine known as MenACWY at age 16, or prior to attending college, the MenACWY vaccine does not prevent the serogroup B strain. Since this B strain accounts for approximately half of all meningococcal cases in the U.S. among those age 17-22, the MenB Strong Moms believe it is imperative that young adults and their parents understand the options for prevention. Unfortunately, although the MenB vaccine has been licensed for over a year, many doctors are still not mentioning it to their patients and therefore, most parents and young adults don’t realize the vaccine exists. “We all had our kids vaccinated and thought they were protected.” explains Patti Wukovits, RN and Director of The Kimberly Coffey Foundation, as she clutches a photo of her daughter. The MenB Strong Moms are sharing this important messages along with the stories of their children during the month of December in hopes that families will take advantage of the winter break to get their college students vaccinated. Emily Stillman (19) was a sophomore at Kalamazoo College in Michigan, working towards a double major in Psychology and Theatre. Her dream was to be on Saturday Night Live. One night, Emily called home complaining of a headache. It got so bad she went to the hospital, where they treated it as a migraine. By the next morning she was in a coma. Within 30 hours she was brain-dead. Kimberly Coffey (17) was a high school senior from Long Island, New York who was already enrolled in college with a plan to fulfill her dream of becoming a pediatric nurse. One afternoon Kim complained of fever and body aches. Within hours she developed a purplish blotchy rash all over her body. She was rushed to the hospital, but her heart, kidneys and lungs were already failing and she went into cardiac arrest. She was declared brain-dead nine days later and was buried in her prom dress two days before her high school graduation. Emily Benatar (19) was a freshman at Washington University in St. Louis who excelled in school and had a passion for art. One afternoon she called home to say she had pain in her sternum and was vomiting. A friend took her to the ER but they released her, telling her to take Tylenol and drink Gatorade. The next day she went to the Student Health Center with a hive-like rash, but not the purplish rash commonly associated with meningococcal disease. They sent her back to her dorm. That evening, within 24 hours of her initial trip to the ER, she became numb and then unresponsive. After twenty-one days in the ICU, she died. Henry Mackaman (21) was a junior at UW Madison, majoring in Economics and Creative Writing. His band, Phantom Vibration, had a song on local radio stations, and he wrote a prize-winning play that was performed at the Student Union. He had dreamed of writing a great American novel. One night Henry went to the ER because he felt sick and had a fever of 104 degrees. They sent him home. The next night he returned with slurred speech and numbness on his right side. Six hours later he had a seizure and never regained consciousness. Two days later he was declared brain-dead. The Meningitis B Shatters Dreams PSA is available at bit.ly/MenBShattersDreams. To read Patti’s guest post on Shot of Prevention, I Want Parents to Know About the Additional Meningococcal Vaccine That Could Have Saved My Daughter, click here. To read Alicia’s guest post on Shot of Prevention, How My Vaccinated Daughter Died from Meningitis and What I’m Doing About It, click here. For tips on other ways to keep your college bound student healthy, read another Shot of Prevention blog post here. ❤ Meningitis B vaccine Trumenba. Protecting all three of my sons!